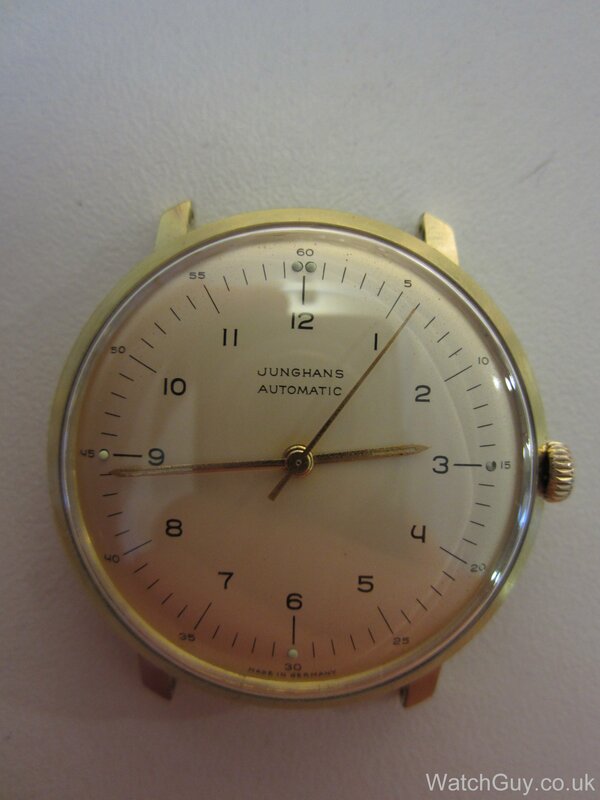 As promised earlier, here is the second one of Torsten’s Junghans watches. 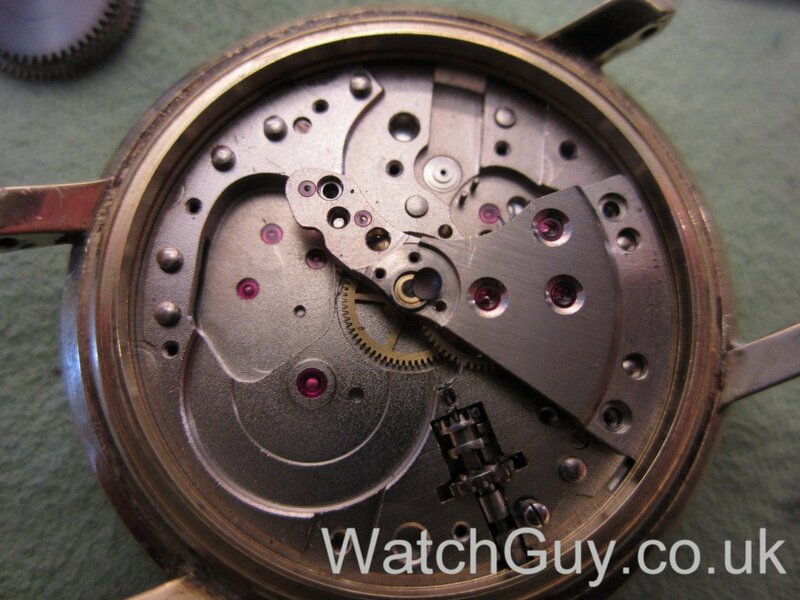 This also has the J83/E movement, but has the famous Max Bill design dial. There has been no lack of attempts to open the case. 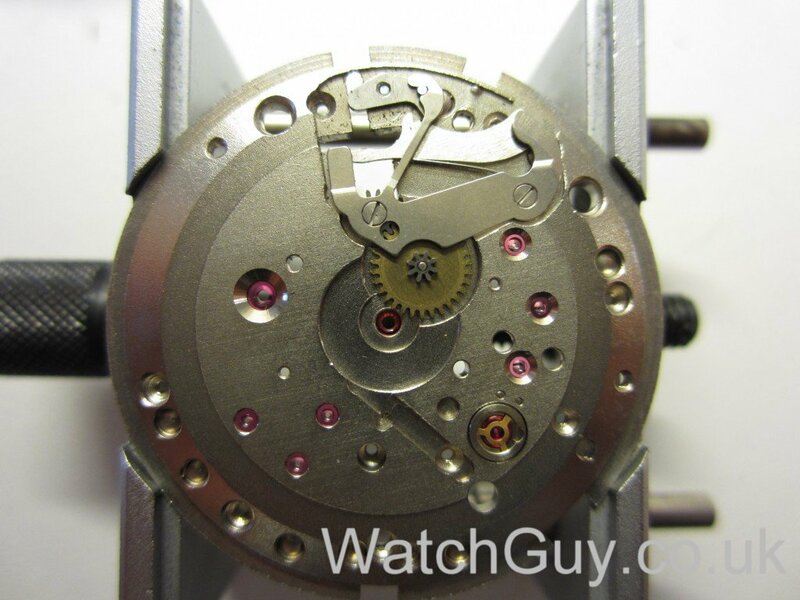 The rotor on this one is intact, and you can see small specs of dirt throughout the movement. The watch a almost a minute a day fast, and the amplitude could be better. 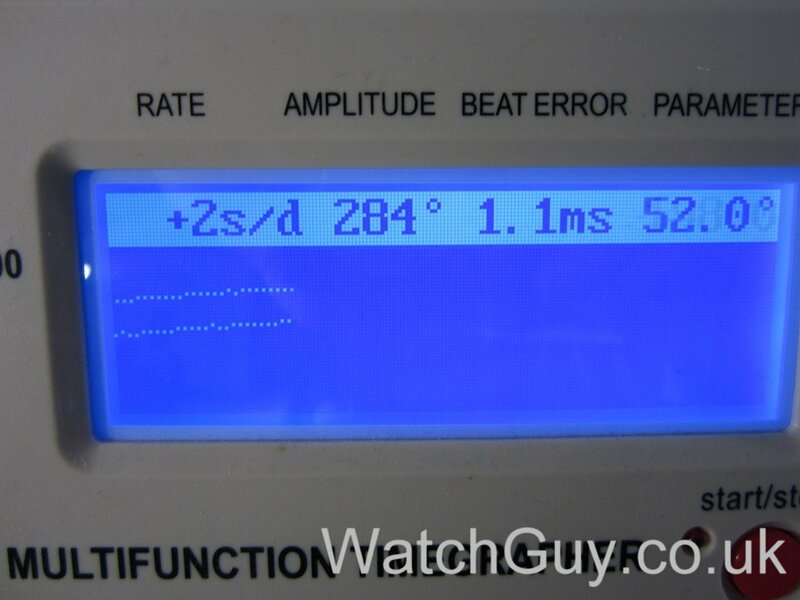 The beat error isn’t too bad. 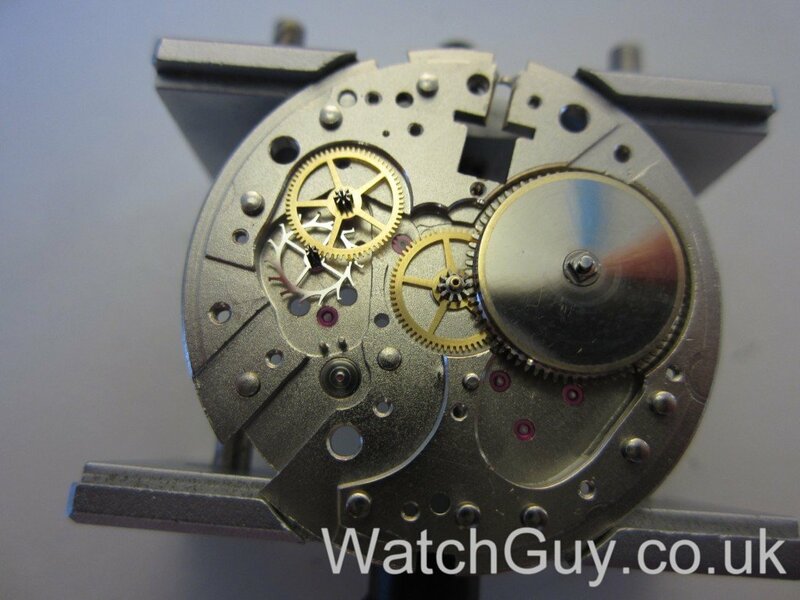 A nice look at the auto-winder gears with the bridge removed. 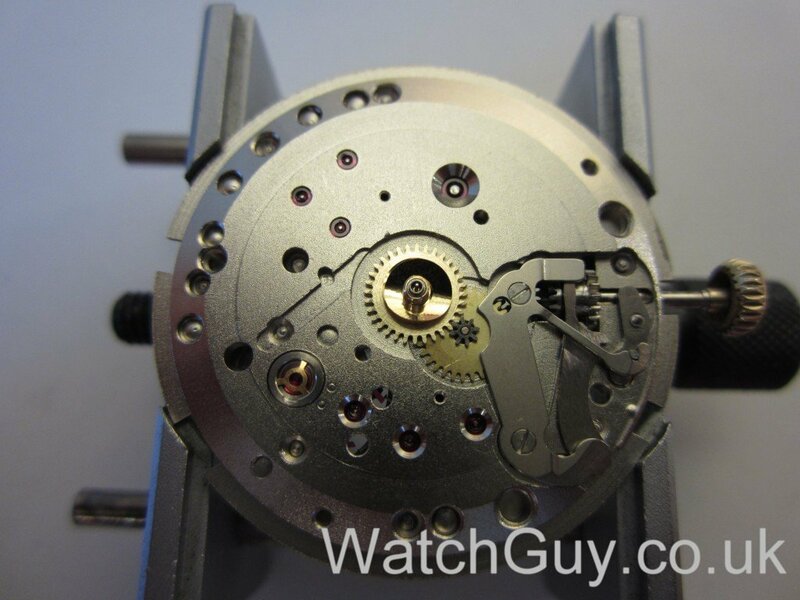 As the winding stem doesn’t want to come out, I take the top plate apart in situ. 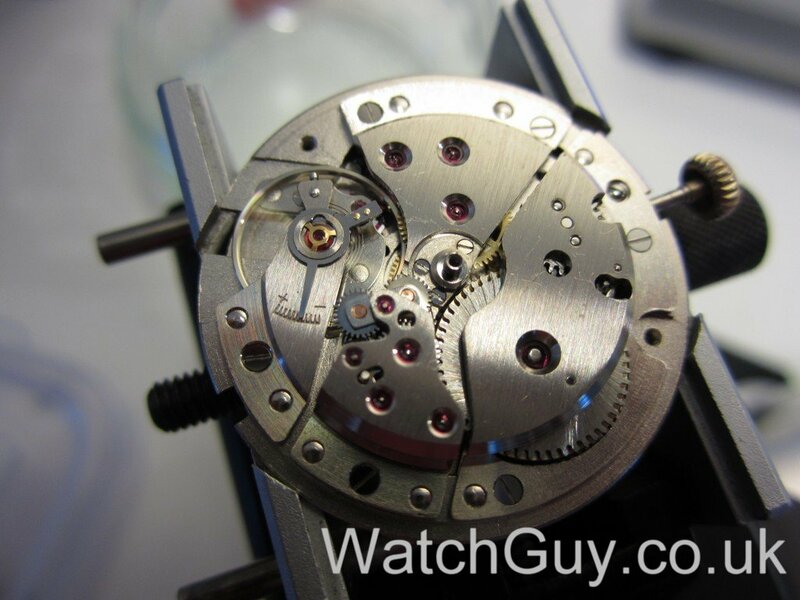 Once I get to the clutch wheel and winding pinion, I manage to coax the winding stem out. 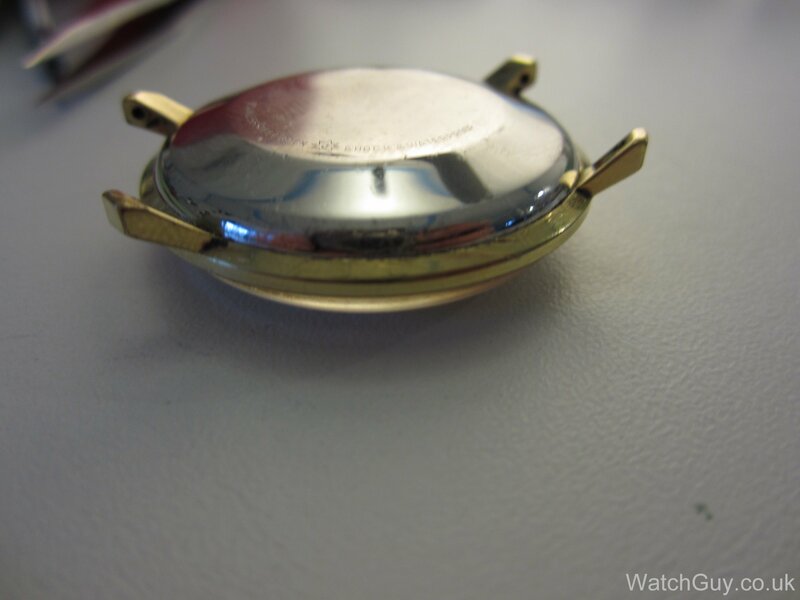 Now that the movement has come out of the case, I can take the hands and dial off. Now I remove the balance jewels for cleaning. Ready for the cleaning machine. 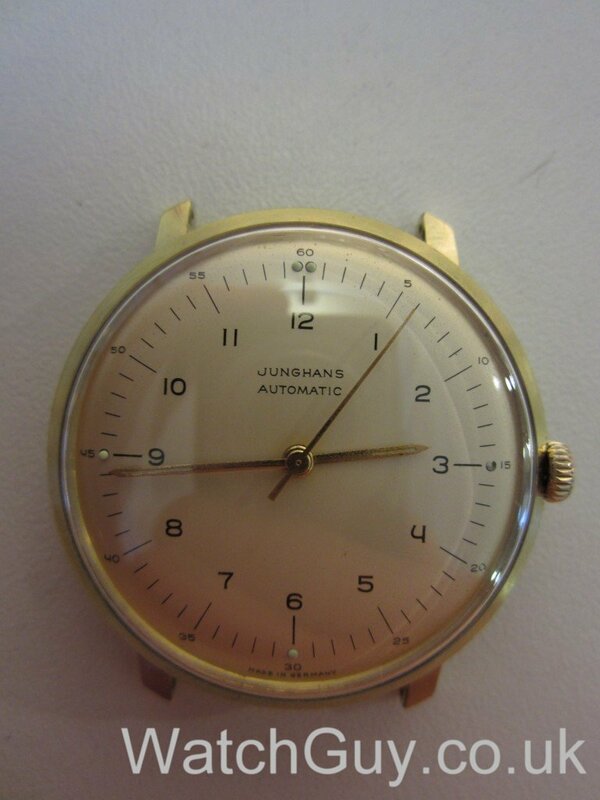 Note that this Junghans also has two dial washers …. The new mainspring is in the barrel, and I put the wheels on the plate. The third wheel has to be put into the wheel bridge for assembly. The top plate is back together, and the balance is swinging. And the bottom plate done. The dial is in great shape. I can’t get the hands back to a full shine without damaging the original lume, so I just give them a careful polish with a cloth. With a new crystal, we are back to “stunningly beautiful”. these are fantastic Christian! 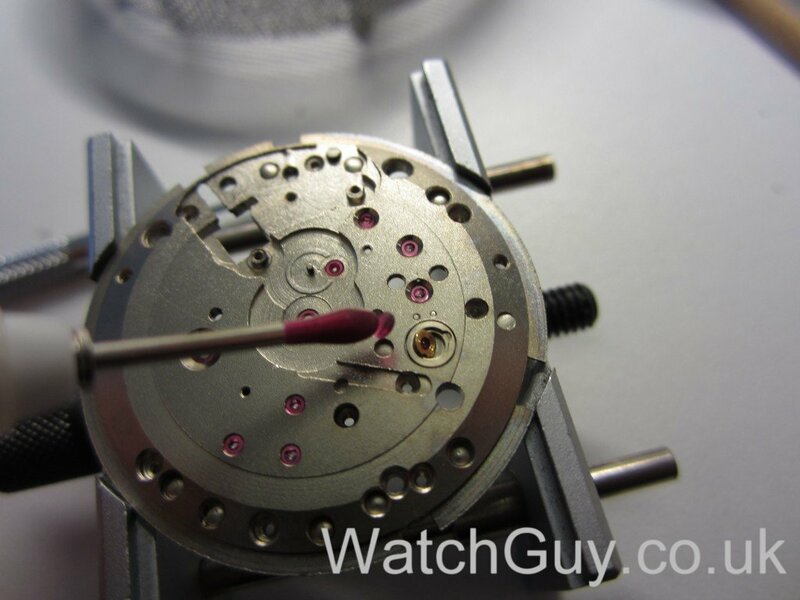 what is the jewel count on the J83/E? The “4” is a symbolized Bauhaus chair sitting upside down. This is one of the identifiers for a true Junghans Bauhaus style dial. Without the chair it is not the real McCoy. 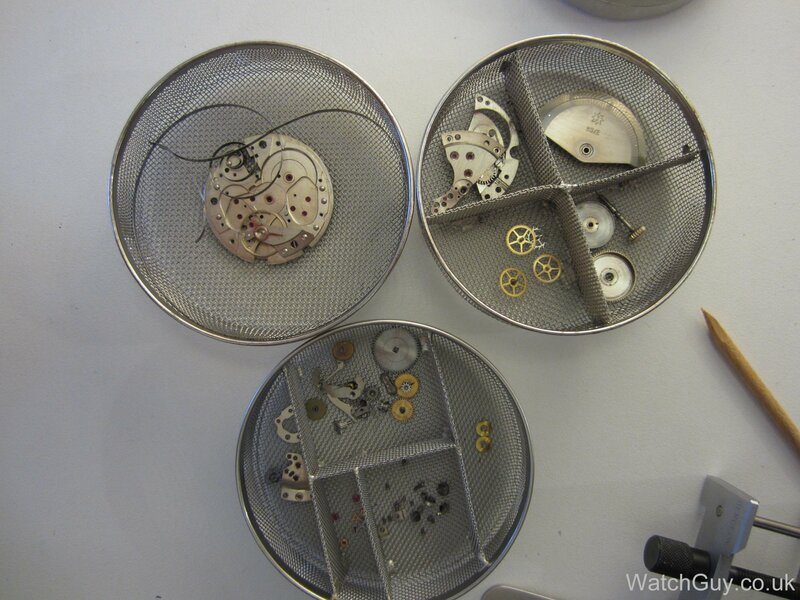 The Max Bill dial should have been cream colored, the first one I think could have been a broken white. The J83 movement has, depending on version, either 28/29/30 jewels. The “E” (for Economic) versions are a late version of this movement. The earlier versions are gilded Chronometer certified movements with swan neck regulators. 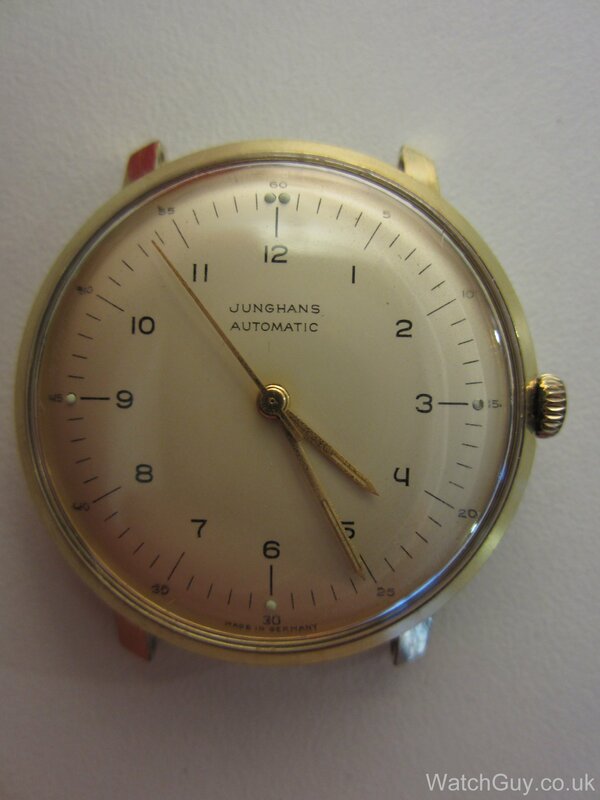 The J83 was the pinnacle of the Junghans in-house movements. 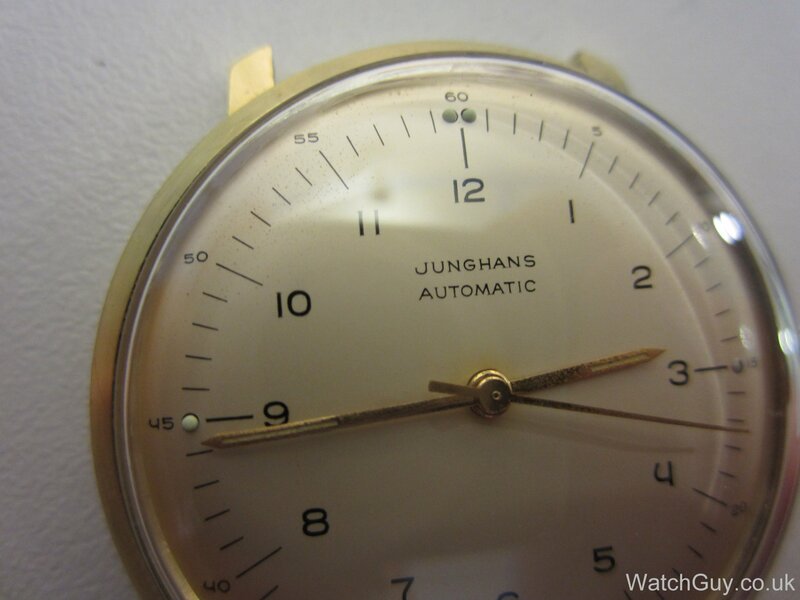 There was one more Junghans movement in the seventies, the J625. 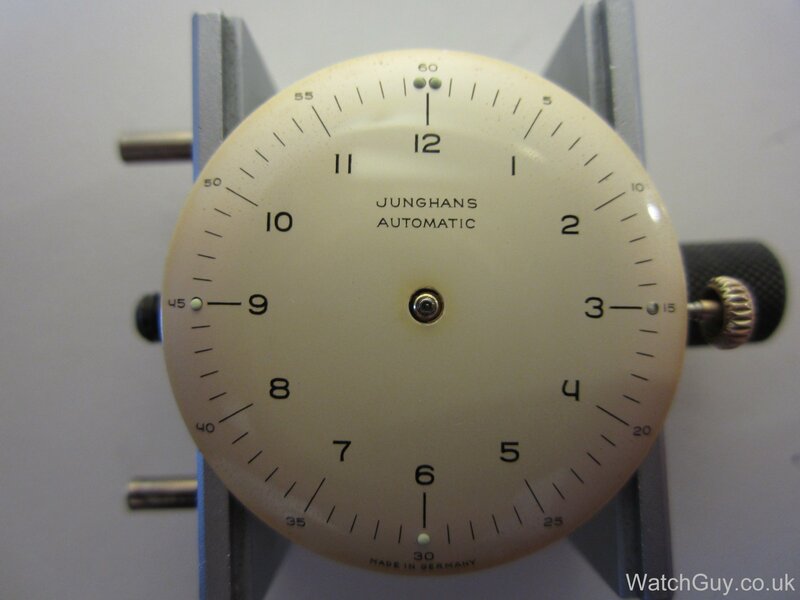 In the sixties Junghans already started to buy in movements using the ETA 278x series (labelled J651) and the Durowe 752x series (labelled J653). 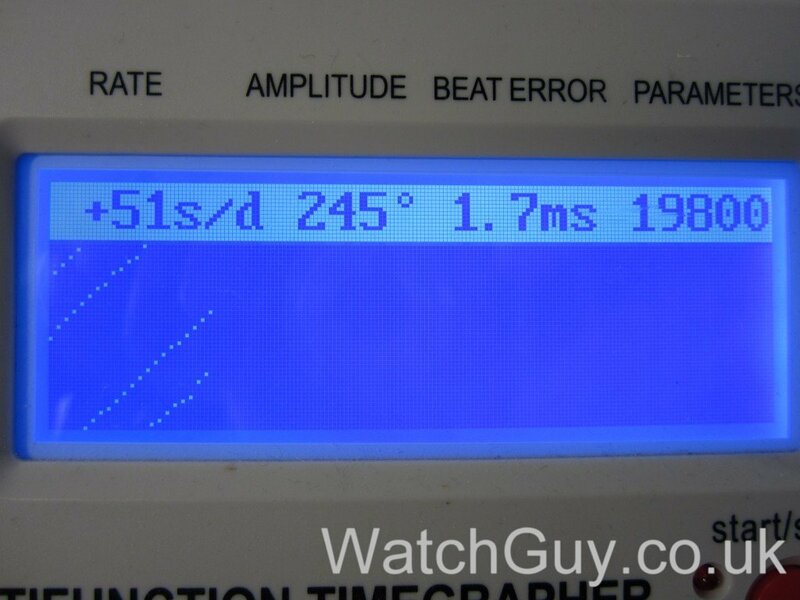 These days it is all ETA (2824-2 and 2892) and Seiko (6S37 and 9S51). 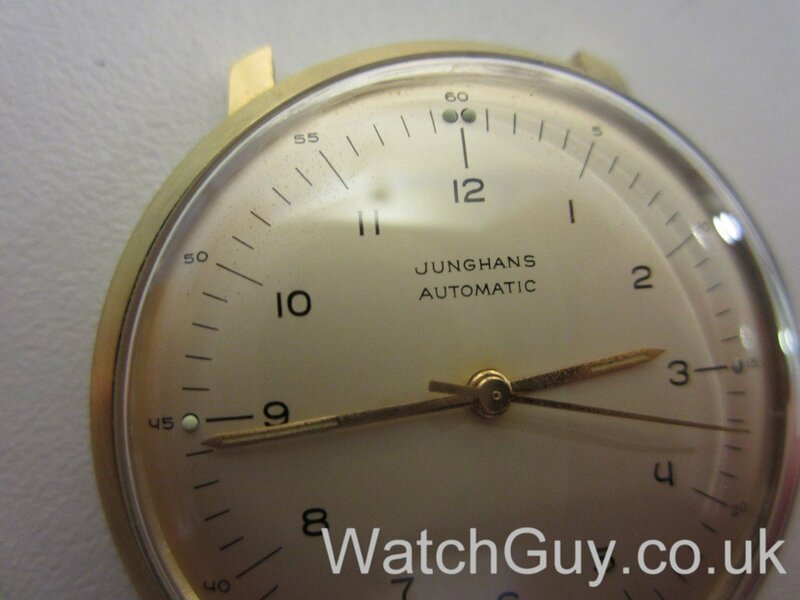 In early 2000 Junghans released a new Max Bill series with identical dials but larger cases and ETA movements. 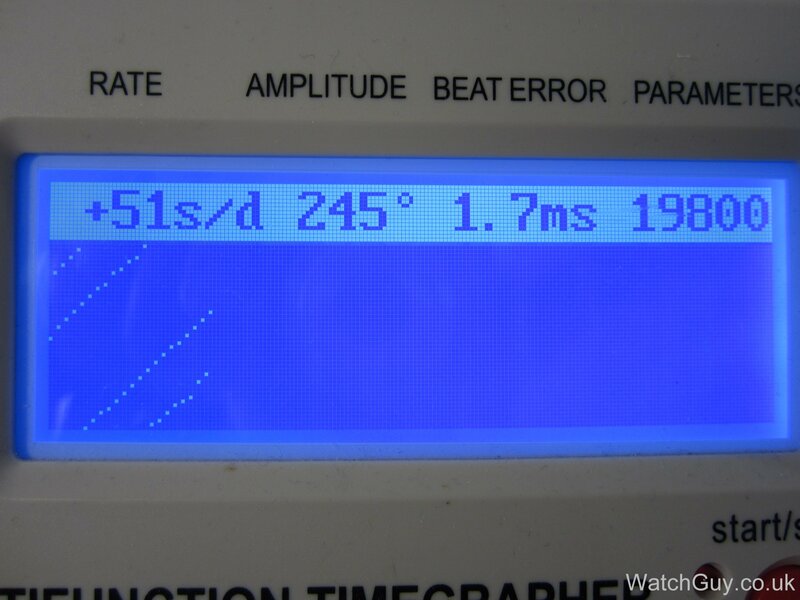 The ETA 2824 (auto) and ETA 2801 (hand wind). These can be easily picked up on Ebay though not cheap. The automatic goes for around Euro 500. Even though Omegas are pretty nice – these two were a refreshing change! 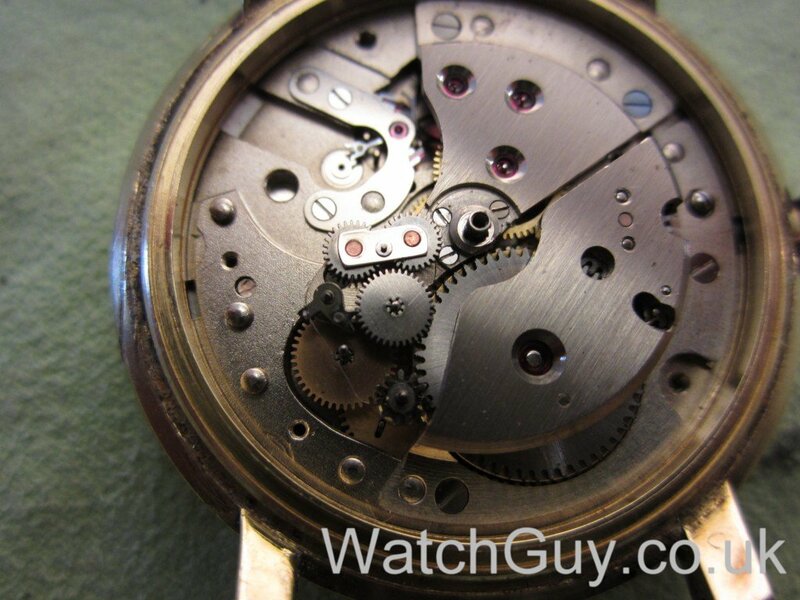 … this is tricky since English is not my native language and a watch related translator has yet to be written – when i look at picture 5 and 6, do I see rivets along the lower left and upper left edge respectively? Or … what are they? 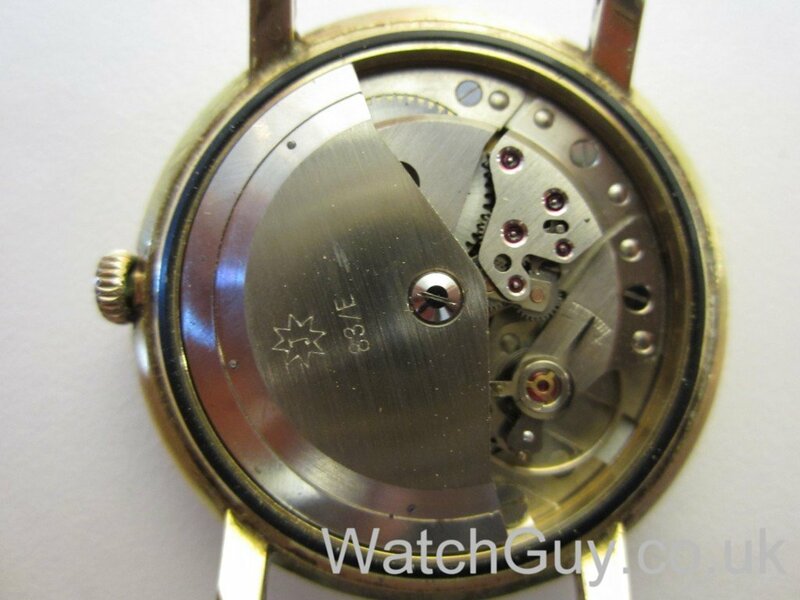 Clearly not screws, but … ? They aren’t rivets, but pins that hold the bridges in their exact position. Most watches have the fixed to the bottom of the bridge, so that you can’t see them. 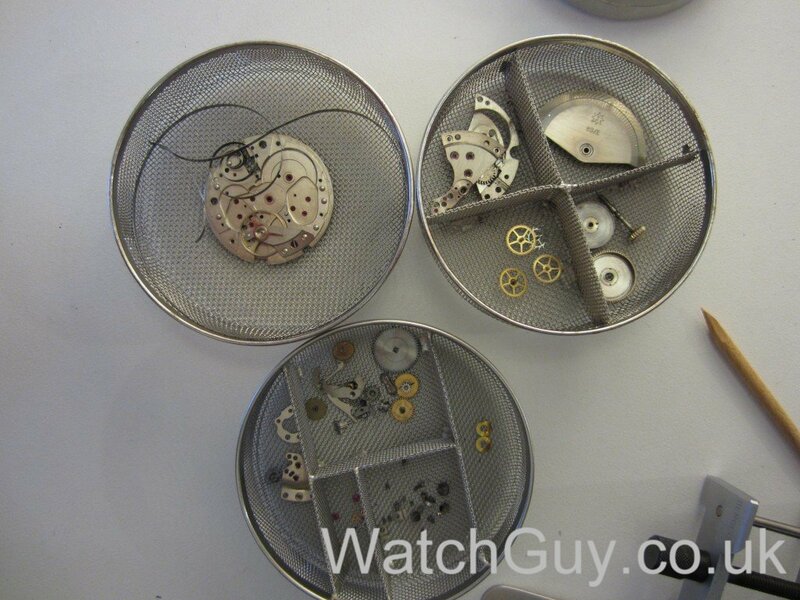 Here, they are fixed to the plate, and there is just a hole in the bridges that the pins go through. Both watches are very nice looking, and the movements look real quality. 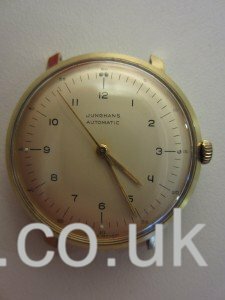 Do you know if the dials started out white and have aged into the cream/ivory colour they are now? I think they were cream originally – maybe Torsten knows more and will leave a comment!